Whether we are physically or mentally active, perspiration is of vital importance. It not only regulates our body temperature but also removes impurities and forms the acid mantle as a barrier on the surface of the skin to protect against harmful germs. Our non-oily Sage Mint Deodorant contains sage and witch hazel essences, which are both naturally antimicrobial and astringent. The deodorising combination of an invigorating mint scent with a natural herbal bouquet of sage promises long lasting freshness. We intentionally avoid the use of pore constricting aluminium salts. Our low alcohol roll-on is very gentle on the skin and does not stain your clothing. Water (Aqua), Alcohol, Manihot Utilissima (Tapioca) Starch, Triethyl Citrate, Glycerin, Salvia Officinalis (Sage) Leaf Extract, Hamamelis Virginiana (Witch Hazel) Bark/Leaf Extract, Salvia Officinalis (Sage) Oil, Mentha Viridis (Spearmint) Leaf Oil, Fragrance (Parfum)*, Linalool*, Limonene*, Geraniol*, Citral*, Citronellol*, Coumarin*, Sodium Silicate, Sucrose Laurate, Algin, Citric Acid, Xanthan Gum. The smell is divine, and I am happy with it in this hot summer! It does not last as long as some of the chemical maces, but that's fine for me (and the people around me I guess). I recommend this product. Works a treat! 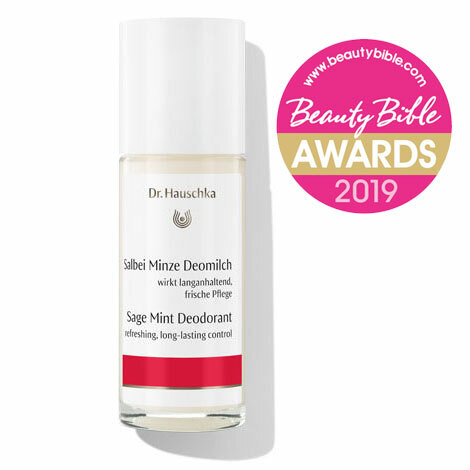 Sage Mint deodorant is always fresh and dry on the skin. It is very natural, has a pleasant aroma, and you forget that you are wearing it. Lovely fresh and light deodorant full of good ingredients. The fresh, herbal scent is particularly well matched with the warming yet refreshing Sage Purifying Bath Essence, the stimulating Quince Hydrating Body Milk as well as the invigorating Lemon Lemongrass Vitalising Body Wash.